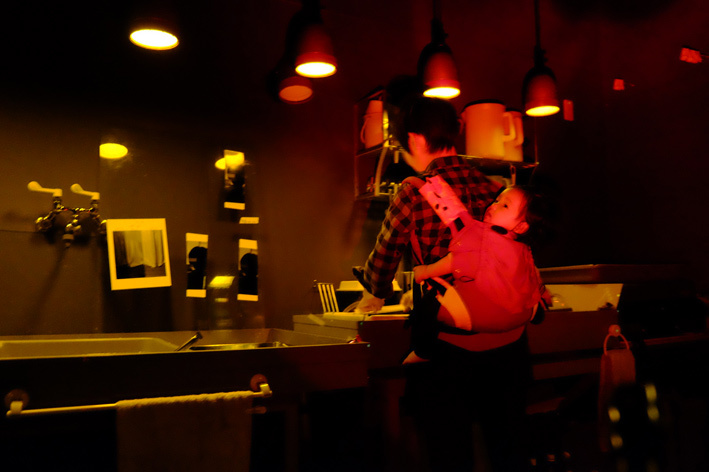 Printing works in dark room with my 7months old daughter. While she was sleeping the mother of the studio owner had been taking care of my little princess. How lucky photographer am I ! Thank you for the cooperations.